Please join us in sending good luck wishes to four of our correctional officers as they begin the twelve week Basic Police School at the Tennessee Law Enforcement Training Academy (TLETA) on October 1st. These candidates were selected from a group of twenty-two correctional officers who applied for the open positions. Each candidate had to go through an oral interview and physical agility testing. On top of their current assignment inside the jail, the four candidates have participated in weekly training to prepare for the twelve week basic course. 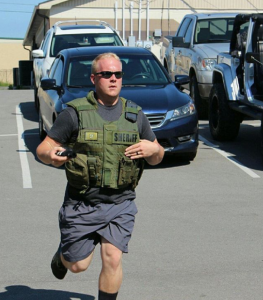 Training consisted of weekly fitness assessments, legal, ethics, policy and procedure, traffic stops, searching techniques, and firearms training. All four candidates will transfer from the Corrections Division and will be assigned to the Patrol Division upon completing the Basic Police School at TLETA. The four candidates that were selected were Kevin Beaty, Chris Corley, Hunter Pryer and Hunter Warren. The WCSO wishes you the best of luck as you begin another journey in your career! 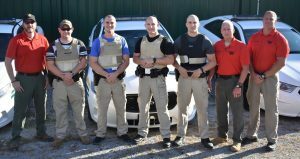 LEBANON, TN – Five juveniles were taken into custody early Monday morning as a brief chase eventually led deputies to the capture of suspects linked to multiple auto thefts in Wilson County and surrounding areas. Around 1:45am, a patrol deputy observed a Maroon Dodge Durango that matched the description of a stolen Durango from the Gladeville area, which took place recently. Deputies gave chase to the fleeing vehicle which ended in Lebanon along with the assistance of the Lebanon Police Department. While the investigation is ongoing, it is believed that some of the juveniles are persons of interest in several auto thefts that have taken place in Wilson County and surrounding areas. Among the items that were confiscated from the juveniles included a small handgun, marijuana, and a digital scale. The suspects are being held at a juvenile detention center pending their initial court appearance. One of the juveniles was an escapee of the Department of Children’s Services. Some of the charges that were filed, but not limited to; auto theft, robbery, conspiracy to commit robbery, possession of a weapon, and possession of a Schedule VI drug with intent to resale. 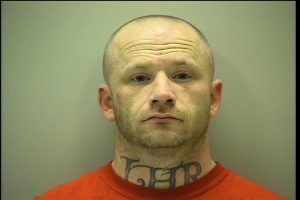 LEBANON, TN – A Macon County man was taken into custody last Monday night after he attempted to free a Wilson County inmate from jail. Scott Ronald Dorris, 54, was charged with Criminal Attempt to Facilitate an Escape and Criminal Impersonation of a Police Officer. 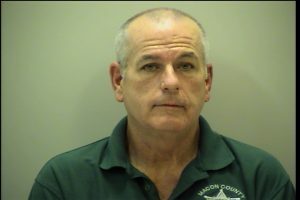 Dorris came to the Wilson County Jail dressed as a law enforcement officer; wearing a Macon County Sheriff’s Office polo shirt, presenting himself as an employee of the MCSO and proffered false documentation to Correctional Officers in an attempt to free inmate Richard Wayne Bohanan. Correctional Officers recognized the false documents as well as other inconsistencies in Dorris’s appearance and demeanor. Dorris is currently being held in the Wilson County Jail on a $200,000 secure bond with his first initial court appearance on August 22, 2017. The investigation is on-going and there may potentially be more individuals charged as a result of this incident. The Wilson County Sheriff’s Office is currently working with the Macon County Sheriff’s Office to determine how Dorris was able to obtain the uniform shirt. 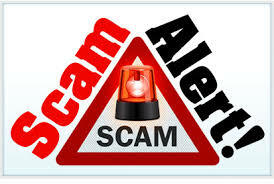 This morning, we have had several calls regarding a SCAM that is going on targeting Doctor’s offices. Offices are stating that they have received a call from a male identifying himself as “Deputy Zachary Miller” with the Wilson County Sheriff’s Office. The number that the call is coming in from is 615-257-7487. Caller is stating that there is a bench warrant for their arrest due to failing to appear for Jury Duty. The unidentified male also states that they have a warrant of $7500 Bond and has advised recipients of going to Office Max to get a voucher and then calling the number back so that payment can be arranged. Many of the calls are occurring in the Lebanon area. Please be advised that the Wilson County Sheriff’s Office will never conduct business in this manner, and it is a scam to remain on alert for. While many are paying tribute to the men and women who have lost their lives in the battlefield, Detective Brian McDonald honored a United States Navy SEAL officer who was killed on June 28, 2005. Michael Patrick “Murph” Murphy was awarded the U.S. military’s highest decoration, the Medal of Honor, for his service during the War in Afghanistan. He was the first member of the U.S. Navy to receive the award since the Vietnam War. On June 28, 2005, Murphy’s life ended on the battlefield after leaving his cover position and ventured to a clearing way from the mountains, exposing him to a hail of gunfire in order to get a clear signal to request immediate support for his team. He dropped the satellite phone after being shot multiple times but picked the phone back up and finished the call, while continuing to get shot upon, he even signed off by saying, “Thank You,” then continued fighting from his exposed position until he died from his wounds. The “Murph” is more than just a workout, it is a tradition that helps push us, humble us, and dedicate a bit of pain and sweat to honor a man who gave everything he had. The “Murph” consists of starting off with a 1 mile run, followed by 100 pull ups, 200 pushups, 300 squats, and then ending on another 1 mile run, all being accomplished in less than 60 minutes and wearing a 20 pound vest or body armor. As always, we fully support the United States Armed Forces and the veterans who sacrificed their lives to maintain the freedom in our great country. Thank you! To see the list of law enforcement officers who were killed or lost their life while on duty is heart wrenching. Officers around the world wake up each morning while putting on their badge, giving their wives, husbands, daughters and sons a hug before going on duty not knowing if they will return home. It’s every goal of a police officer to return home safely after every shift to their respective families. Sadly, this is not always the case. Deputy John Musice and Sgt. 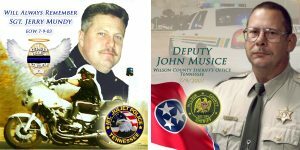 Jerry Mundy were and always will be heroes to Wilson County by making the ultimate sacrifice. Both officers were killed on July 9, 2003, when they attempted to stop a fleeing felon in a high-speed chase on I-40 after she fled in a stolen car from a Knoxville police officer earlier in the day. Both officers were expecting to go home that evening, but their lives were cut short by the heroics of the job they chose to do by protecting and serving their community they were sworn by oath to do. On October 1, 1961, Congress asked the president to designate May 15 to honor peace officers. John F. Kennedy signed the bill into law on October 1, 1962. The Proclamation that was signed is to pay tribute to the LEO’s who have made the ultimate sacrifice for our country and to voice our appreciation for all those who currently serve on the front lines of the battles against crime. On May 10th, there will be a local memorial service beginning at 11:00am in Judge Tatum’s Courtroom, located at the John W. Musice Building next to the Wilson County Sheriff’s Office. Sheriff Robert Bryan will be among the speakers at the service to show reverence and homage to families of LEO’s who have fallen in the line of duty. On May 11th, state services will be held in Nashville at 10:00am at the War Memorial Plaza as we honor those who have been killed in the line of duty both locally and statewide. The Wilson County Sheriff’s Office will serve as one of the lead agencies during this week’s events while we host the families of many agencies who have lost an officer during the past year. On Friday, May 12th, Major Robert Stafford, Lieutenant Scott Moore and Deputy David Stolinsky will be attending the National Police Week services held in Washington D.C. and will attend events such as the 29th Annual Candlelight Vigil at the National Mall, the 36th Annual National Peace Officer’s Memorial Service held on the West Front of the United States Capitol and the National Law Enforcement Museum that will display a number of artifacts that the WCSO has taken to Washington D.C. in the past years including a patrol car door and motorcycle fairing. Since 2005, officers have returned to Washington D.C. during National Police Week with one goal, to provide any needed support to the families that are affected by these tragedies that have changed their lives forever. Attending officers show their respect and appreciation to the fallen officers and their families by providing transportation or any other service needed. For first year survivors, the first year can be extremely emotional and difficult. These officers work in a support role for C.O.P.S. (Concerns of Police Survivors). The WCSO is grateful to be a part in honoring the men and women who gave the ultimate sacrifice by serving and protecting the citizens of their communities. 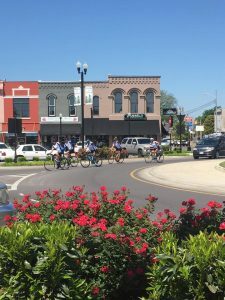 Cyclists from the Hollywood Division of the Los Angeles Police Department came through Wilson County this morning during their “Hollywood Memorial Ride” honoring the LEO’s who have been killed in the line of duty. The ride started on April 25 and will end upon their arrival in Washington D.C. on May 11 for National Police Week. Members from agencies along the route will be joining them to honor officers throughout the country who have been killed protecting and serving their communities. 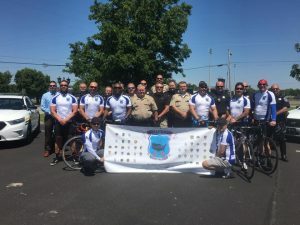 Members from the Wilson County Sheriff’s Office caught up with them this morning at the Lebanon Police Department on their way to Washington D.C. Thank you, LAPD, for allowing us to be a part of your memorial ride and be safe on your journey. Sheriff Robert Bryan and the Wilson County Sheriff’s Office SROs are taking applications now for a 3 day-long, half-day nationally known camp to help students learn to cope with bullying and problems such as spotting potential online predators to peaceful conflict-resolution. Instruction areas will include such topics as: bullying; online predators; drug/alcohol awareness; confidence building, team-building exercises; a tour of the jail and examination of the juvenile court system. The classes will be held from 8 a.m.-12:00 p.m. and also from 12 p.m.-4:00 p.m. on July 17-19 for 25 qualifying students in each session. Eligibility requirements include any male or female with a good disciplinary school record and good attendance record. Any male or female going into grades 6th through the 8th for the 2017-2018 school year will be considered. The cost is free to any qualifying students. This year, students will receive lunch each day in partnership with the Lebanon Special School District’s Family Resource Center. For more information, please contact your school’s SRO or the Wilson County Sheriff’s Office. Note: Camp Victory is not associated with Wilson County Schools. Email set up to report traffic complaints. Wilson County citizens can now send an email to the WCSO of any ongoing traffic complaints that continue within the county. This email is set up so we can manage traffic related complaints throughout Wilson County. Citizens can email us with any traffic related concerns they have in relation to speeders, people running stop signs, etc. If you have a complaint, you can send those to trafficwcso@gmail.com. It is our goal to provide a great working relationship with our citizens and to maintain a safe environment for all. 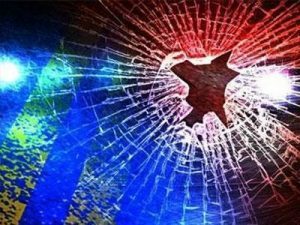 LEBANON, TN – The Wilson County Sheriff’s Office responded to what started off as a domestic dispute early Saturday morning and ended with the suspect barricading himself inside a local residence at 290 Phillips Lane. Upon arrival by patrol officers, the suspect was aggressively waving a sword through the front entrance of the home directed towards officers. The suspect then barricaded himself inside the residence in a closet and was armed with the sword while also threatening to burn down the residence. The WCSO’s Special Response Team (SRT) was activated and responded to the scene. Michael Chadwick Pruitte, 43, was taken into custody for Aggravated Arson, Aggravated Assault and Domestic Assault after an approximately 2 hour standoff with law enforcement before the SRT made entry into the residence and arrested him without incident. 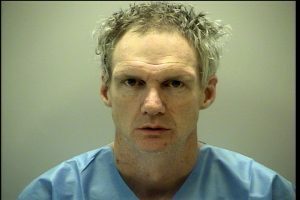 Pruitte is currently being held in the Wilson County Jail with a total bond amount of $32,000. He is set to appear in Court for the Domestic Assault charge on March 8th at 9:00am and for the Aggravated Assault and Aggravated Arson charges on May 9th at 9:00am.